I had a My Little Pony when I was young. It was a cheerleader with pom pons. I loved it! 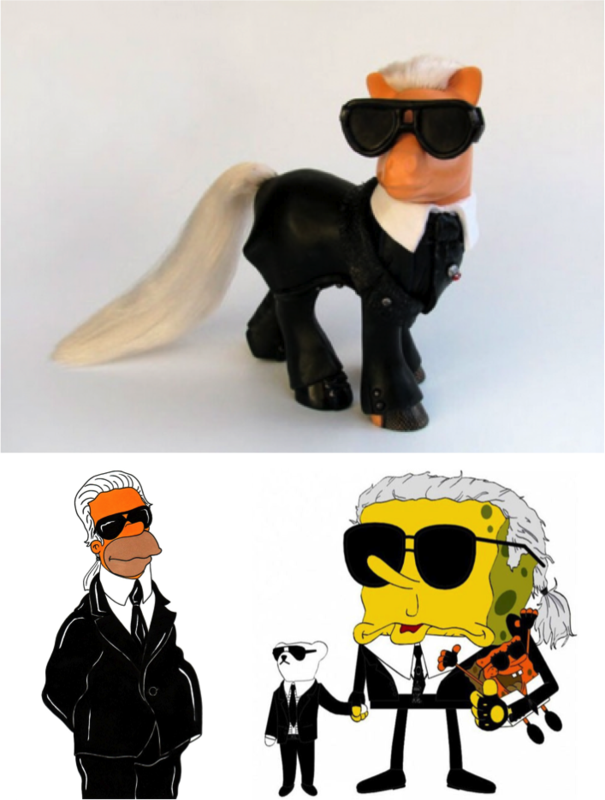 But how cool is this Karl Lagerfeld version of a My Little Pony?! This is no toy girls….it’s fashion! Karl Simpson was cool, SpongeKarl was fun….but My Little Karl is just uber-stylish with that ponytail.